An exciting collaborative construction project with teams working in unison to design and construct an impressive bridge. The catch is that each team’s design will be handed to another team so that no team is building the original bridge they designed. Each team then builds the bridge to their customer expectations while overcoming limited resources, communication barriers and strict timelines. Teams will have to liaise with both their suppliers and customers throughout to ensure they reach their goal. 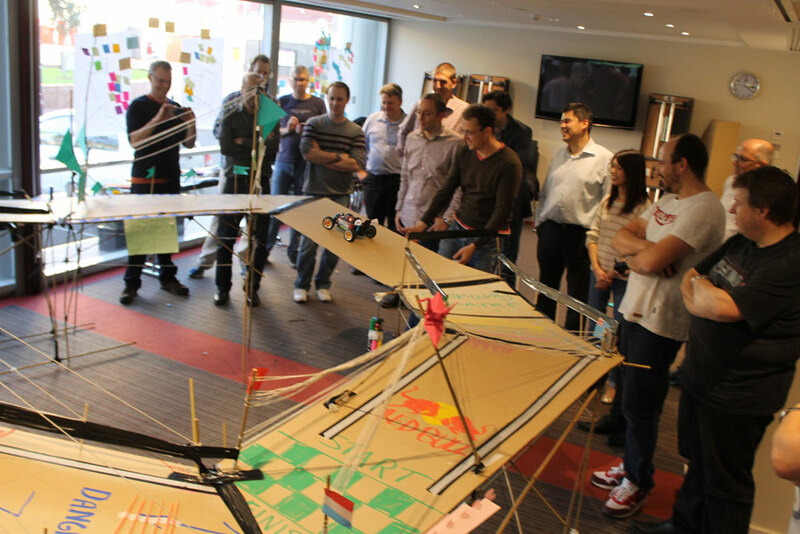 Teams will be held accountable for the quality of the design plans they hand off to other teams, therefore teams will have to work together to ensure the total quality of the entire bridge. The exciting finale sees each teams individual component bridge being installed as part of the huge, extended Company Bridge and tested with a remote controlled car. 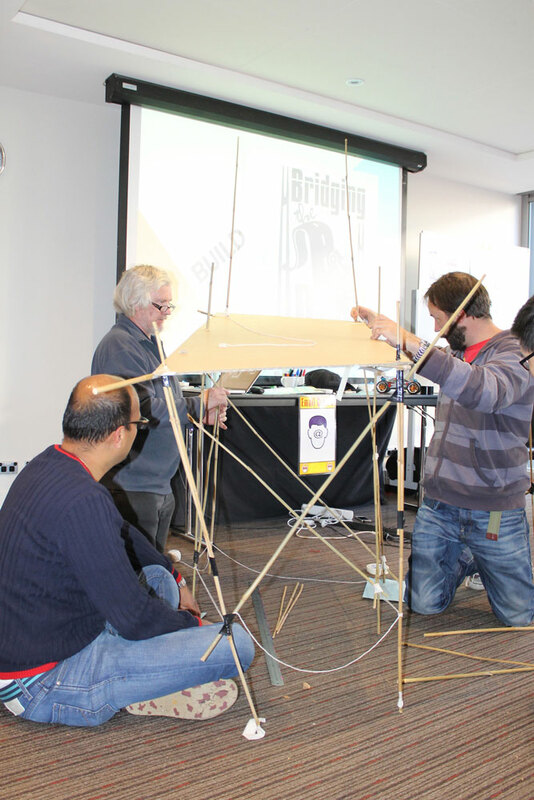 Bridging the Divide is a fun, engaging, hands on event with very powerful metaphors – where all departments of an organisation strive towards their own goals, but also play a vital role in the bigger picture.